Release the tension and stress. Relaxes the system of the body. Rejuvenates and balances the body, mind and spirit. Restores your energy, stimulate flow of blood, nutrients and nerve impulses. Did you know that there are 7,200 nerve endings in the feet connect to a different area of the body? When pressure is applied to a reflex point it stimulates a corresponding organ or gland. Reflexology relieves tension, increases nerve and blood supply, and allows the body to normalize from our daily stress. 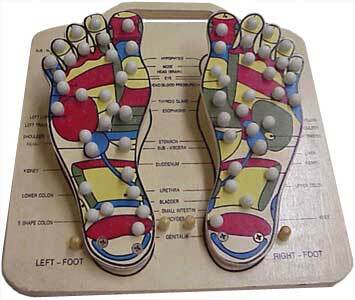 Everyone can benefit from Irene’s Hand & Foot Reflexology. No need to have something wrong in order to benefit from reflexology. Not only is it a way to relax the body, it is also a way to release blockages that are causing tension in one’s emotional-physical energy system. Many people experience relief during the session itself and most people feel positive changes and refreshed after the session has ended. Coming soon FACIAL AND EYEBROW THREADING!